my favorite kitchen tools are my cast irons. I have several sizes, these are two of my favorite, they belonged to my grandmother. I love my cast iron more than diamonds! Oh and lucky you that you have your grandmother’s!! I had to go to estate sales for mine. I’m just so mad I don’t have her big one! 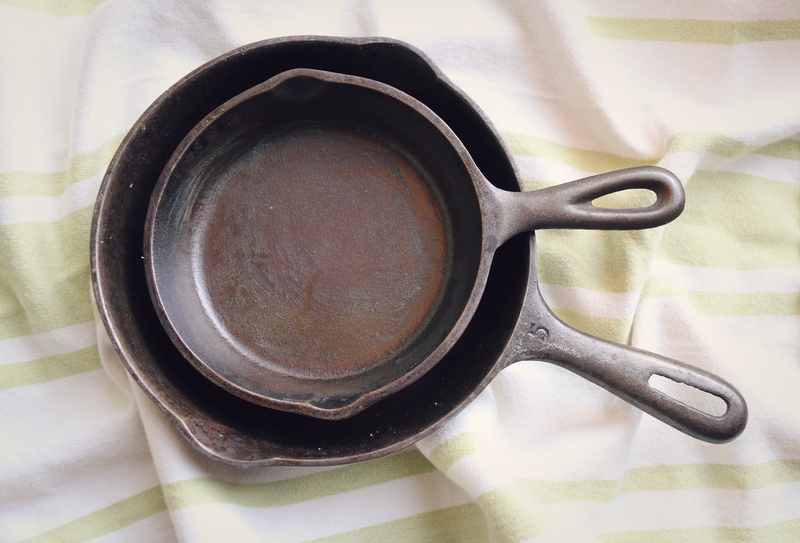 I am very blessed to have the small ones though, one of these days I’m going to go on a hunt to get a vintage one…there is I just something about how they cook!